Biking is my favourite way to explore a new place. 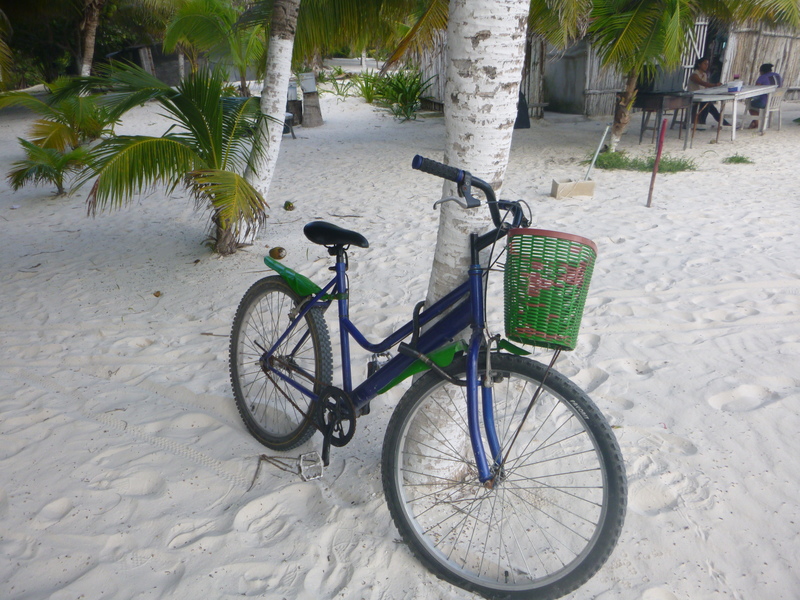 Today I have been biking around Tulum. Hiring a bike for the entire day cost me the grand total of £2 – what a bargain. The bike did not have any gears but it was no worse than the bike hire in San Diego which was $12. 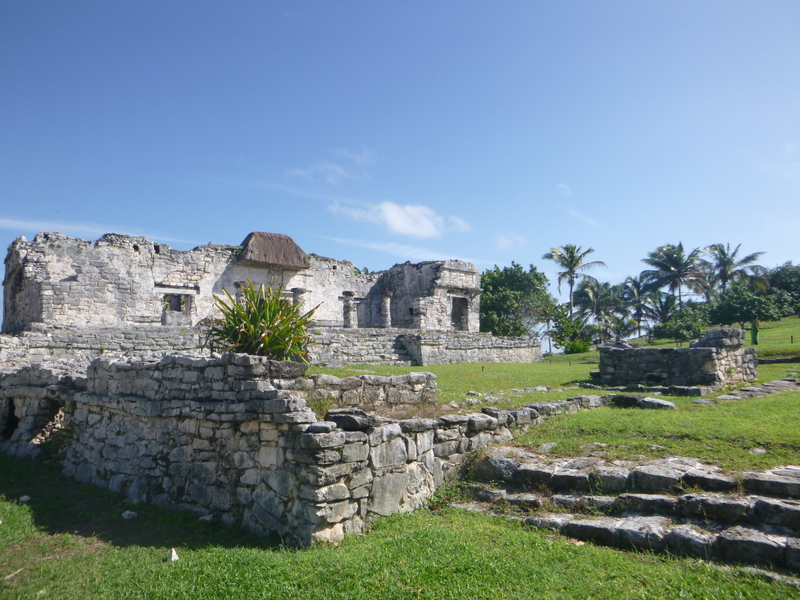 I began by cycling to the Mayan beach ruins. While these were stunning, interesting and scenic they were packed with people. I enjoyed learning about how the area historically was used as a central hub for exports and imports. It was also fascinating to read about the Spanish inquest. 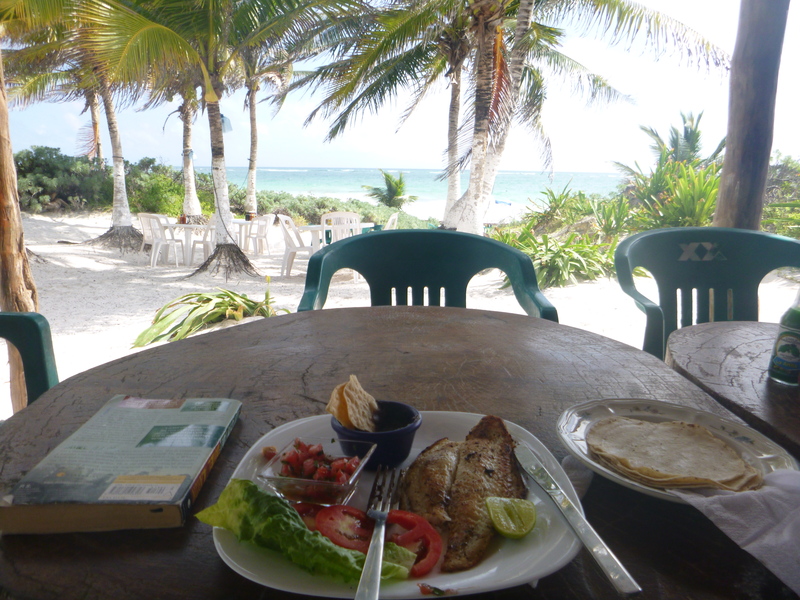 Next I cycled to the beach, here I had fresh grilled fish, which was amazing. Eating on the beach was so relaxing and peaceful. On leaving I saw a coconut fallen from a tree. I figured I may as well pick it up and see if I could get any juice from inside. I was holding the bike lock key in my hand and thought what better way to prise it open. I jabbed the top and coconut water spurted out – score. For some reason I had been keeping a old straw in my bag from the last time I bought I coconut. I must have know it would be needed in Tulum. I jumped back on my bike and while cycling along the beach road sipped on the fresh coconut juice. I cycled past numerous elaborate beach resorts, restaurants, hotels, yoga retreats and so forth. Some looked very lavish and tempting. 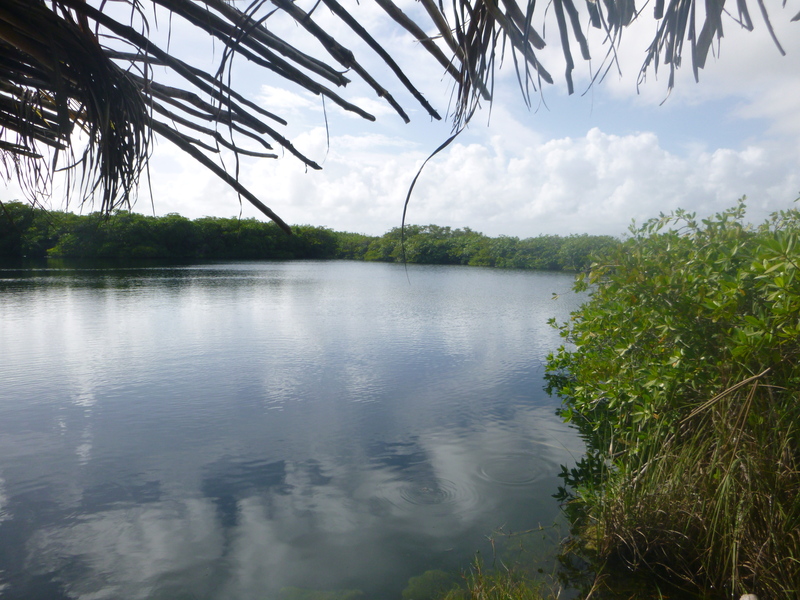 I then reached a cenote. These are large spaces of open water where you go can jump in. It was stunning. I walked through the forest to get to it and then jumped in. After cycling for a long time, this was the perfect refreshing break. I brought my snorkel mask in my day bag which I used here. It was perfect, watching the little fish swim around through the rocks was great. Following jumping in the cenote, I cycled further into the jungle for a little while before turning back and retuning the bike.